Like so many good old fashioned pastimes, playing marbles has fallen out of fashion in the last few decades, despite centuries of popularity all over the world. People in the Indus valley in the Bronze age played marbles, the Romans played marbles, the ancient Egyptians played marbles. I didn’t grow up playing marbles, but like so many good old fashioned games and skills, I’m learning along with my children. 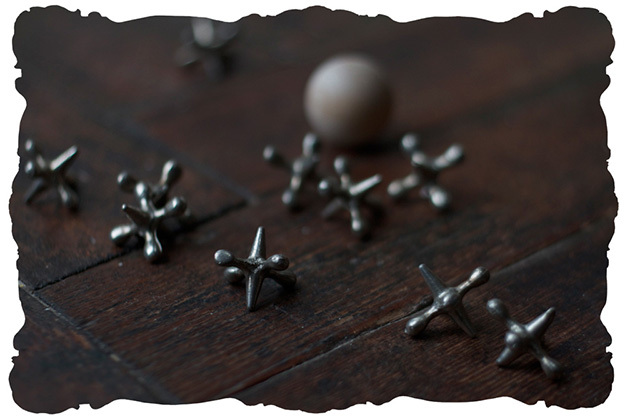 There are so many ways to play marbles, with variations as rich as there are regional accents. 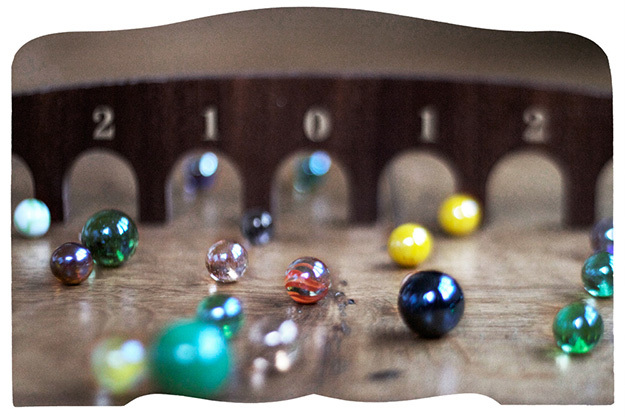 The way that we like to play is with an archboard, shooting marbles through in order. I think my father likes to call this ‘mousehole’ and he taught it to my children. My childhood fondness for the things was almost purely aesthetic. I could still spend long moments absorbed in the depths and beauty of a glass marble. In our old cottage the phrase ‘losing your marbles’ does come up a lot, as there is an unfortunate slant to the floor that angles toward a gap under the stairs, just the size to take your best marble. The other day I encountered a mouse bowling a horse-chestnut towards that very spot. Mousehole! I can just imagine the games those mice are playing with our marbles, below stairs. It explains a lot, really.